Good news, spicy food lovers. You may outlive the rest of us. Hot peppers are the unofficial superfood we all need. They help you lose weight, jumpstart metabolism, and stimulate endorphins as a proven aphrodisiac. And based on a new study, they harness one more superpower: immortality. Okay, it’s not that drastic, but hot peppers may be able to increase your lifespan. Researchers from the Larner College of Medicine at the University of Vermont found that the consumption of hot red chili peppers (not to be confused with the Red Hot Chili Peppers) is associated with a 13 percent lower risk of death, especially concerning deaths caused by heart disease or stroke. These findings are based on 23 years’ worth of data collected from more than 16,000 Americans. Those who ate any amount of hot red chili peppers, excluding ground chili peppers, were considered chili pepper consumers. After 23 years, the death rate of pepper-eaters (21.6 percent) was lower than the death rate of participants who did not eat the peppers at all (33.6 percent). The authors behind this study aren’t sure why chili peppers could delay death, but it could have something do to with capsaicin (the primary component of chili peppers) and its receptors in the body called TRP channels. Capsaicin improves digestion, has antioxidant properties that fight infections, and may fight cardiovascular disease. Certain types of TRP channels may protect against obesity. So the next time you’re debating what kind of salsa to buy, opt for the hottest flavor. It could give you some extra time on this lovely planet of ours. 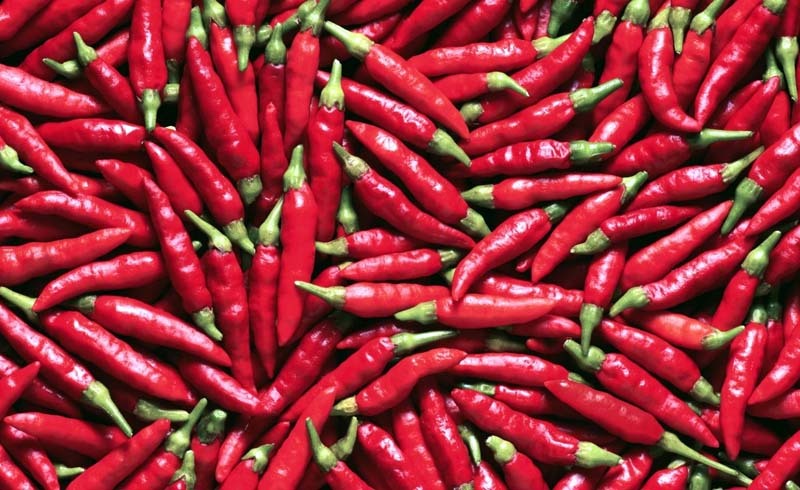 Hot Peppers Could Make You Live Longer- Study Says Yes. New study associates hot red chili pepper consumption with a lower risk of death, suggesting that spicy food lovers may outlive the rest of us.